For over 25 years we have paid 5% on savings, credited semi-annually. Resources over six million. On Sprague between Wall and Post. The Foundation of your future success is based on sensible thrift policies. Your account is welcome here. 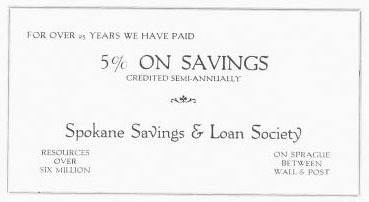 For over 25 years we have paid 5% on savings, credited semi-annually. 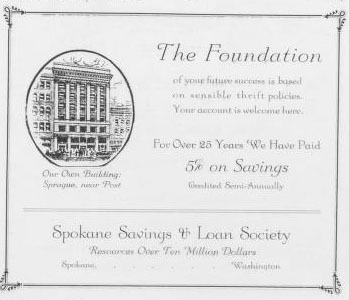 Our own building: Sprague near Post. Resources over ten million dollars.